Are you thinking about picking up a new Spyderco? Find your perfect match with our foolproof flowchart. Looking to learn a little more? Read on to hear where these blades excel and get full specs. 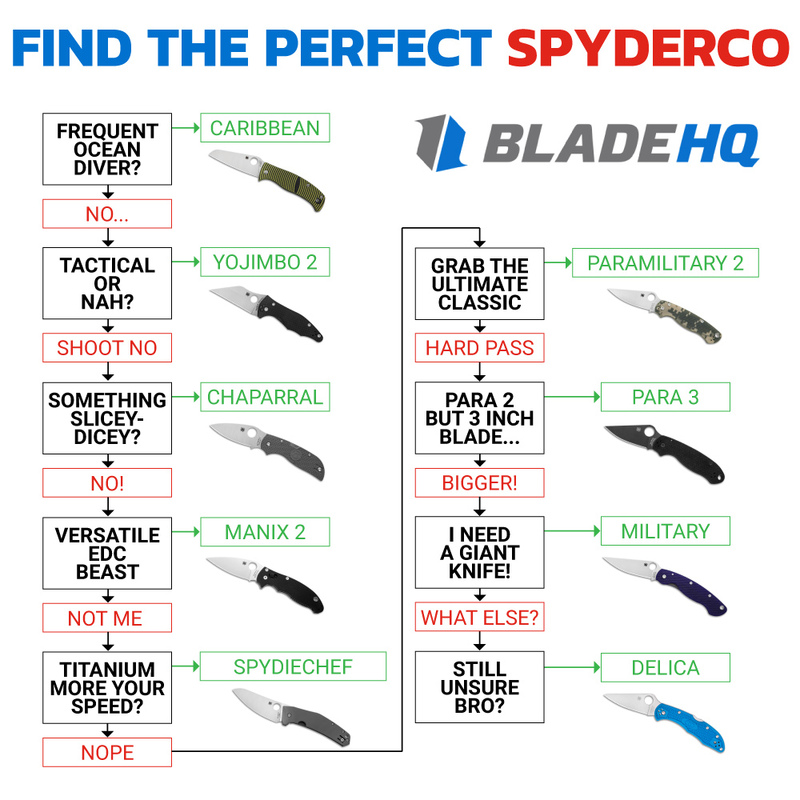 Then, let us know in the comments what Spyderco currently tickles your fancy. I absolutely love the Caribbean. The LC200N blade steel, rustproof liners, and hardware are definitely going to be useful for rust prone situations. I highly recommend this knife. Perfect grip with the textured G-10 scales and a good bit of jimping on the spine to get a great and solid purchase on the knife. Picked this knife up a year ago to start a gentleman’s carry collection. Its one of the greats for that purpose. This lil guy can slice like nobody’s business. Its a thin knife with an awesome finger choil. As such, you can really get some cutting in with this guy. This is a solid knife (you definitely feel the 5 oz. heft) built with quality materials. There’s plenty of jimping all around this knife and ergonomics feel really good. It has that beautiful leaf shape blade that so many Spydercos have. The Ball Bearing Lock is interesting. At first glance it looks similar to an Axis Lock, but when you take the knife apart it’s built very different. It’s another very popular knife and a must have for knife collectors. This is a great design. Very ergonomic and disappears in the pocket. The LC200N steel is amazing. Takes a keen edge and holds it well. I’ve owned a couple Spyderco knives before buying the Para 2 and love every one of them. Para 2 comes sharp, stays sharp, and the opening and closing of it is great. No complaints about the knife. I look forward to using it for a long time. Feel free to check out our in-depth PM2 Review. I own almost 10 Spydercos, and when this arrived today, I was in heaven. Right out of the box, the opening is smooth as silk. The Compression Lock is perfect, and the S30V is crisp. My only wish is that I would have bought this knife month’s ago. This is the best design for a tip-down EDC I’ve seen. The ease of deployment, authoritative opening and super lightweight are my favorite features. 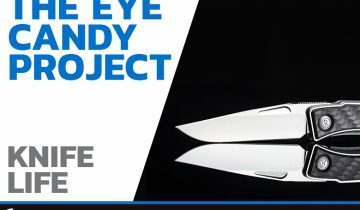 The blade is beautiful, and overall construction is precise and strong. Cheers! Thank you. Fantastic EDC knife. Everything from the size, to the fit, to the steel. It may not be a super steel, but it is easy to sharpen, it takes a wicked edge, and for the price it is a knife you wont feel bad abusing! Do you own any of these knives or are you new to the cult of Spyderco? 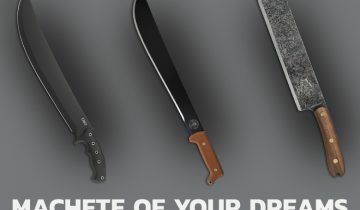 Are certain knife steel qualities deal breakers for you? Which features do you weigh in your decision-making process? Hungry for more? 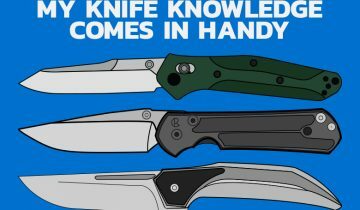 Check out our Best Folding Knives Guide to see which Spyderco folder made the list. You can also take a trip with Zac to California and the Hogue Knives factory. I am surprised you left out the Native series from the list. 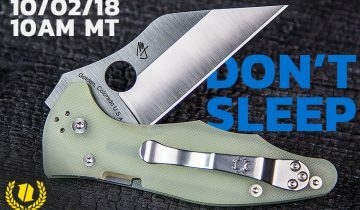 Spyderco’s recent Native 5 lightweight is gathering pretty good attention. Maybe we need a bigger flowchart! There are some real winners in the Spyderco line. Beautiful Spyderco knife . Love to get one .